being little • bristol uk fashion & lifestyle blog. 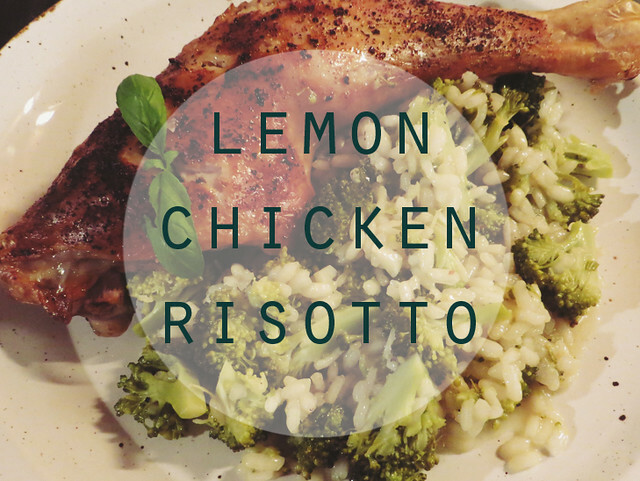 : lemon chicken risotto. • Preheat oven to 180º and start heating your frying pan. 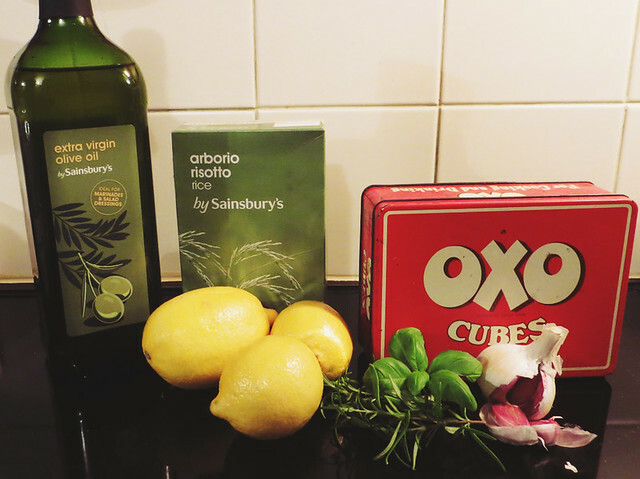 • Place the chicken pieces on top of sprigs of rosemary in a roasting dish, season with salt & pepper, and add the juice of one of the lemons and 1cm depth of water. Put it in the oven for 30-40mins. • Meanwhile, heat the oil in the frying pan & add the garlic. • Add the rice & stir to coat with oil. 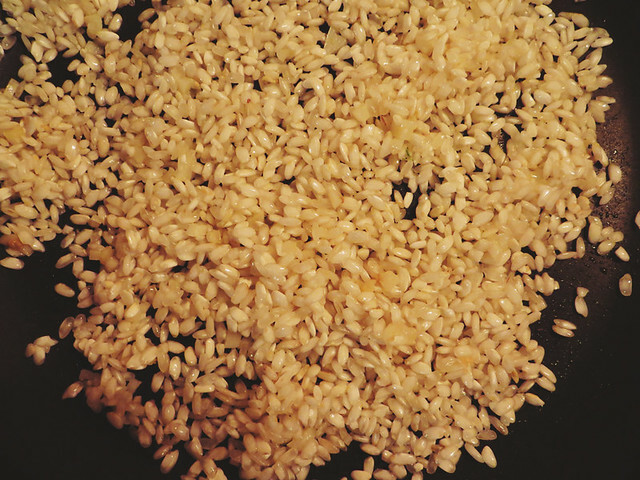 • Gradually add the stock, a little at a time, adding more as it's absorbed by the rice. Make sure you keep stirring! 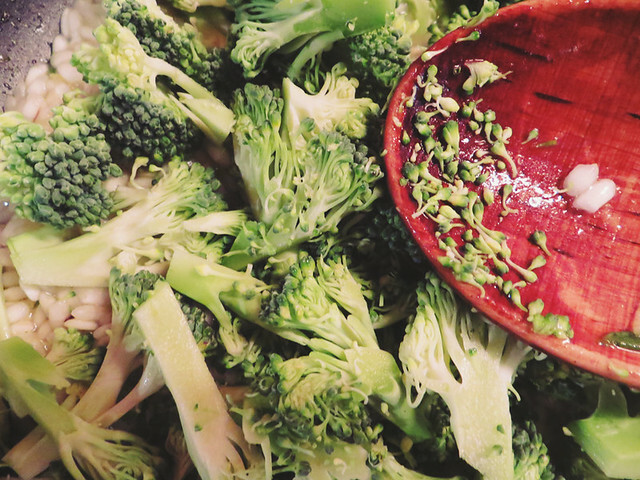 • When you've used about two thirds of the stock, scatter the brocolli over the top, and pour in the remaining stock. 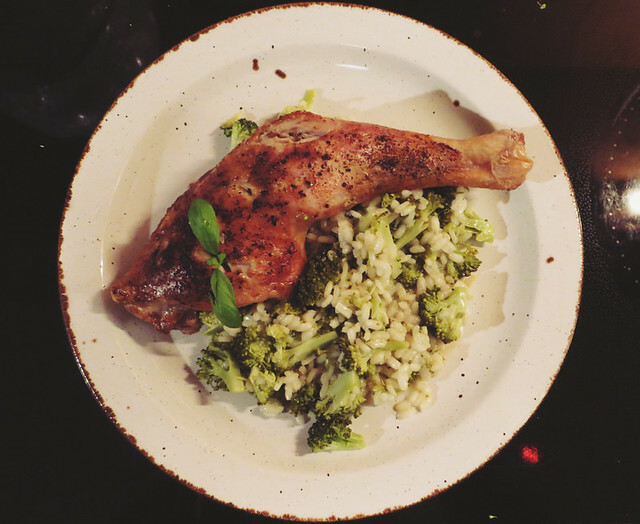 • Give it a good stir every now and then, and cook until the brocolli is just tender and the rice has a slight bite to it. 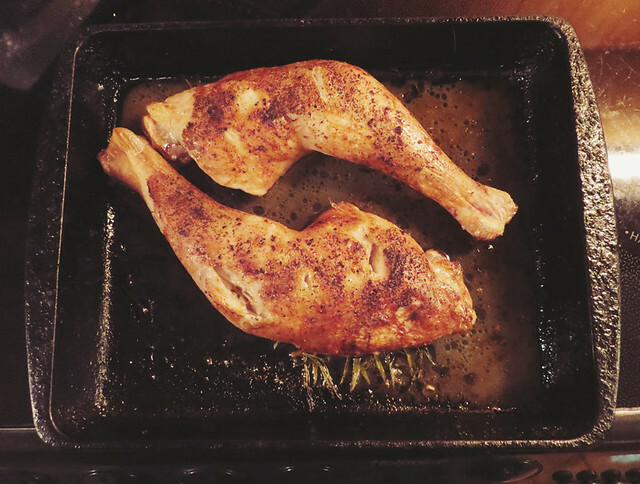 • Take the chicken out of the oven & remove from the dish. Pour the juices into the risotto. • Stir in the lemon juice & zest, and some chopped herbs. You can use chicken breast if you prefer (with skin on is best!) and you can also add a glass of white wine, or Parmesan cheese, although I prefer it without as it tastes more zingy and fresh. As always, let me know if you try my recipe! This sounds fineee! I've only had risotto once or twice and that was a few years back. Really want to try it again and something like this would be perfect! This looks like the perfect winter dish for the weekend! Looks so good, I love risotto :) This would be great with salad in Summer! I cooking this dish this evening, it was AWESOME thank you for sharing!